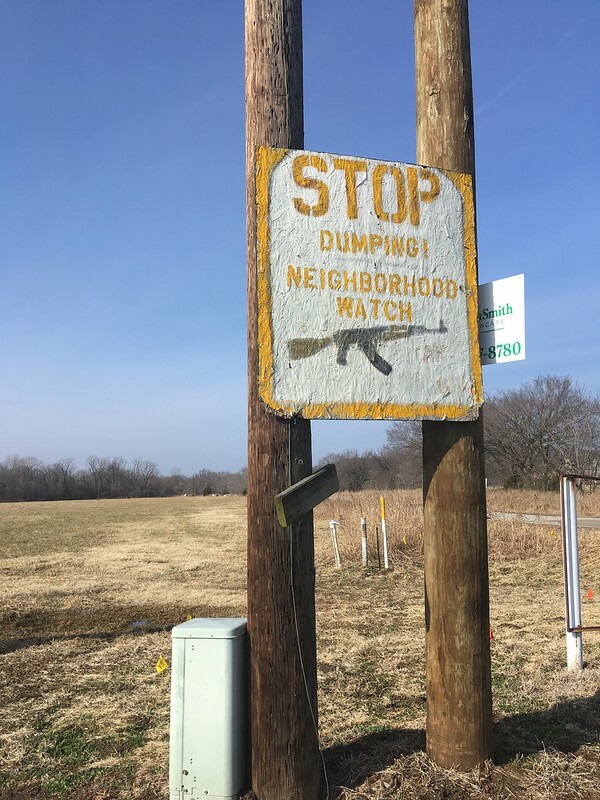 I was out west of Tulsa in Sand Springs looking for a geocache and spotted this sign. I sure didn’t dump anything there. We love our guns in Oklahoma! Gun owners have all sorts of rights in Oklahoma. The rest of us just need to stay out of their way. This is the Rock Creek Bridge in Sapulpa. It is a landmark on Route 66. 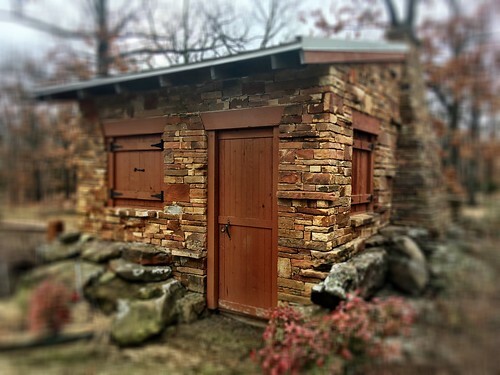 It runs several hundred miles in Oklahoma. That brick on the bridge deck is the original brick put in way back when. 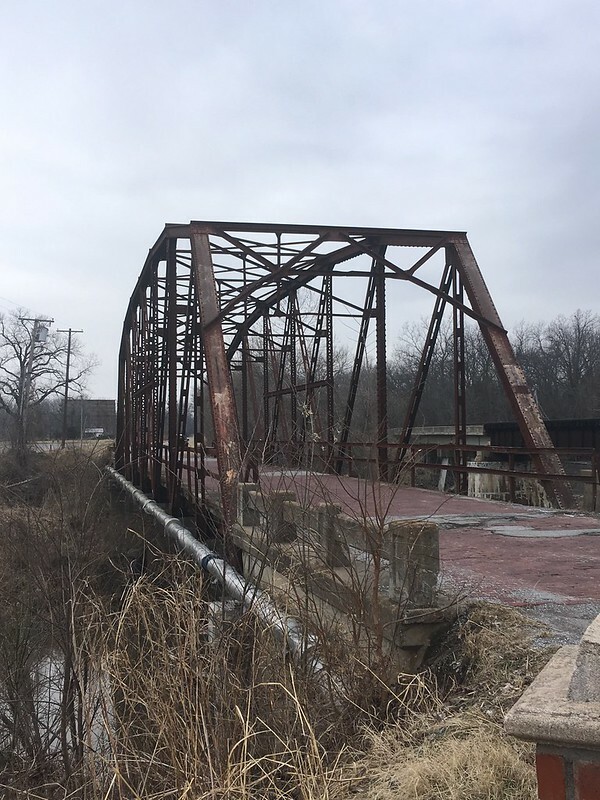 Route 66 no longer goes over the bridge. That is one thing I’ve learned about Route 66, the actual roads it goes over has changed continuously almost from the start. 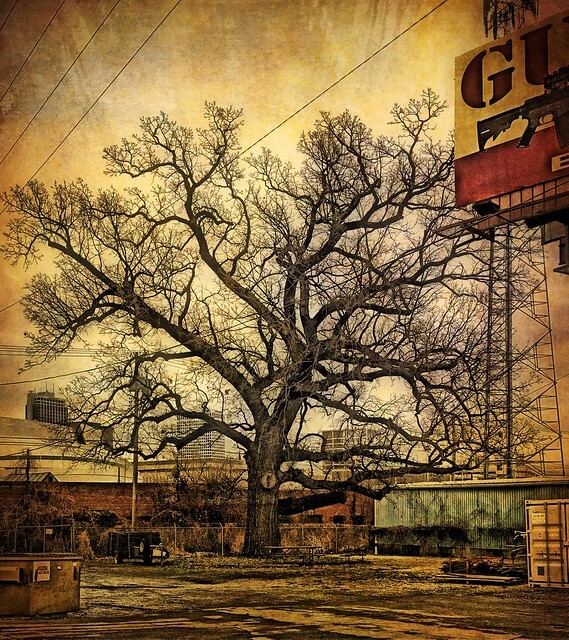 I stopped by the an industrial area of downtown Tulsa to take a look at the Creek Hanging Tree. Over 200 years old and supposedly many a rustler and other criminals have been hung off the branches. Great story right? I can find almost know documentation of it. I googled it just now and number one on the list is a blog post I did several years ago. Finely rendered trees! Love the bison. As much as I hate littering, I would not want someone to be shot for it. I love those tree shots! The bad and the beautiful! 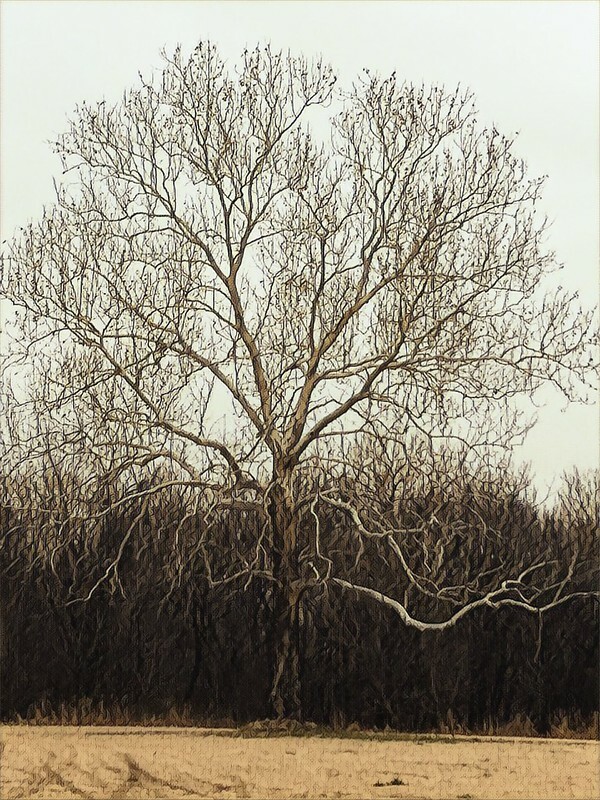 I miss the grace of bare trees… but I could do without the possible historical connection of this one. And being that it’s way too early, my eyes aren’t focused…I thought I read OPRAH’S bar. Hello, great series. 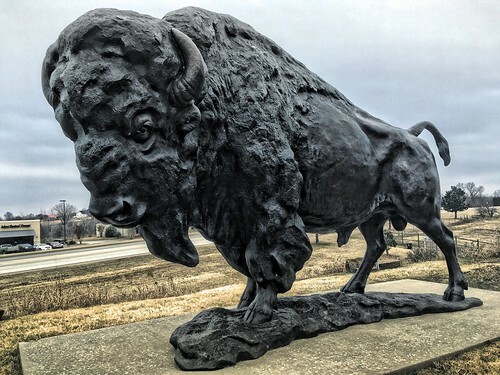 I love the bison sculpture. The tree images are beautiful. Enjoy your day, have a great new week ahead! Nice, almost spooky winter scenes. Life on hold. I think everyone who has ever worked in downtown Tulsa knows about Orpha’s Lounge. 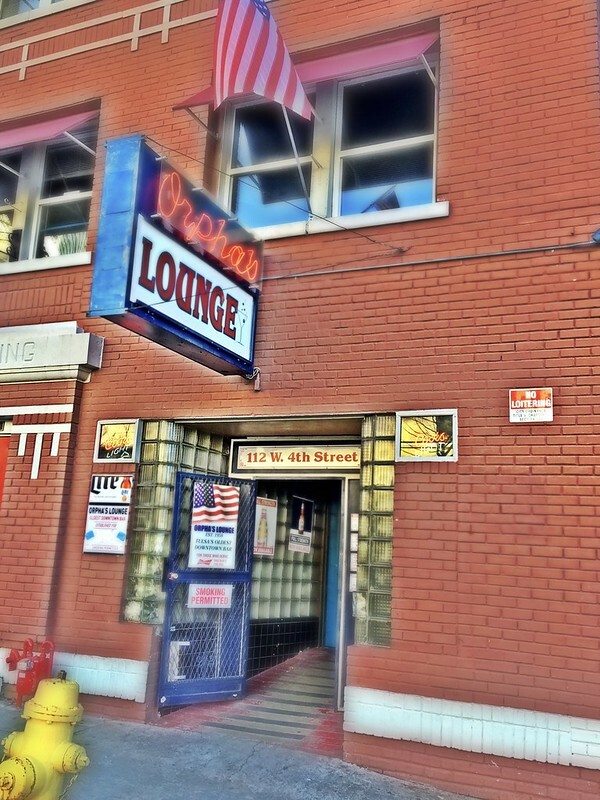 It has been a dive bar for as long as I can remember. 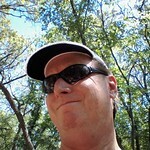 I need to get out more in my area, your tour of the area around Tulsa is just great! The tree in the abandon field is an image suitable for framing. Like you, I do enjoy public art. Great post Yogi. Great bridge. Love those giant trees. I saw saguaros recently. Love the Hanging three. Colors are out of this world. Maybe that´s why it´s so pleasing to the eye.